Ten years ago we packed up our backpacks, said goodbye to friends and family and hit the road for a little over a year. We flew from Vancouver, Canada to Bangkok, Thailand and Nick turned 24 years old on our first day in Southeast Asia. Before we left for this trip, there was a lot to think about. 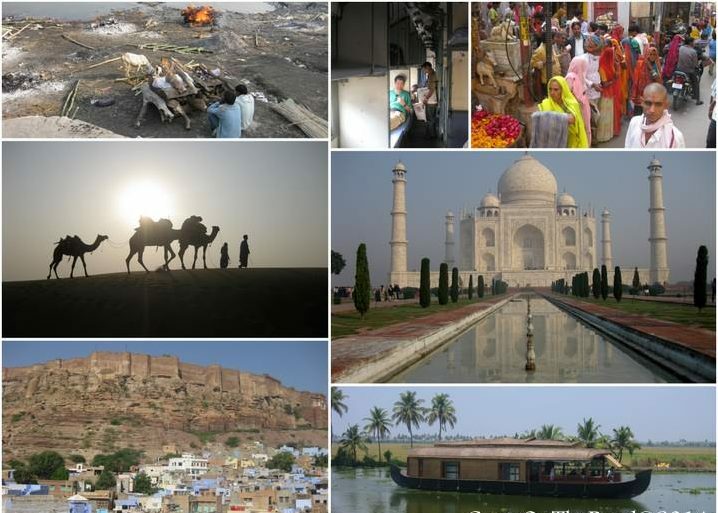 Within about 6 months of deciding we wanted to go travelling, we had quit our jobs, sold our condominium and our vehicle, sold many of our possessions and planned a one year journey through Southeast Asia and the Subcontinent. I use the word “planned” loosely because back in 2008, there weren’t many online blogs or articles we could read to find information. Facebook had started just 4 years before, but wasn’t overly popular with our friends or family (yet). We had read the Southeast Asia Lonely Planet guide book numerous times – while making sure to highlight and star “must-see places”. We’d watched all of the Departures episodes, plus, any and all travel related TV shows we could find. This is the first photo we took. We’re just about to board the plane! Sooo young! Nervous, excited and exhausted, there were so many feelings on that day of departure. On one hand, it feels just like yesterday, but when we think back and reflect on all that we’ve experienced and accomplished over these 10 years, it feels like a lifetime ago that we were working and living in Canada. We’re Canadians who, apart from a couple of all-inclusive trips to Mexico, hadn’t been abroad. We were accustomed to pizza and burgers, and hadn’t even sampled Thai cuisine before. Our idea of Indian food was samosas and that’s about it. We weren’t used to bargaining for goods or taking unsafe transportation. We’d never seen livestock on the streets of a city, or had to dress in a certain way. Everyone around us spoke English and apart from US Dollars, we hadn’t dealt with any other currencies but our own. We’d never rode a scooter before, hadn’t been in the jungle, and had never seen a Wonder Of The World. This trip was complete sensory overload and was the opposite of everything in Canada. It was exactly what we were looking for, and hoped it would be. That journey through Thailand, Cambodia, Vietnam, Laos, India, Malaysia, Malaysian Borneo, Brunei, Indonesia, Singapore and Sri Lanka changed our lives forever. The thought of travelling outside of your home country might seem intimidating, but trust me, the world isn’t a scary place! As I said above, we were complete newbies and hadn’t really been outside of Canada. Don’t believe everything you see on the news. Trying new things, meeting new people, learning about other cultures is what life is all about. In the end, people are people – we all want a community, to be loved, to have our health and to enjoy life. Go and see for yourself. Sadly, at this point in our lives we hadn’t learned how to get paid to travel and therefore had to return to Canada when our money ran out after 13 months on the road. Having experienced new cultures and ways of living, we both felt this pull to travel. Living in Canada and working at our same jobs for the rest of our lives simply wasn’t an option anymore – we needed to be learning, growing, exploring. That initial trip “ruined” us in a sense. We didn’t feel like we fit in with everyone back home, and although we were physically back in Canada for a year, our minds were abroad. We made money from home on the side, took overtime shifts at our jobs, sold the last of our possessions, put ourselves on a strict budget, and after what felt like a lifetime of being back in Canada (a little over a year), we left again – this time for good. I believe that you should have a nest egg before taking off to see the world. It doesn’t have to be a huge one, but something to fall back on just in case. Once we had spent what we wanted to, and just had our little “egg” left, we made the (hard) decision to return to Canada and earn some more money. We didn’t want to go past a certain amount and end up with $0 in the bank. And, at the end of the day, we don’t regret that decision. 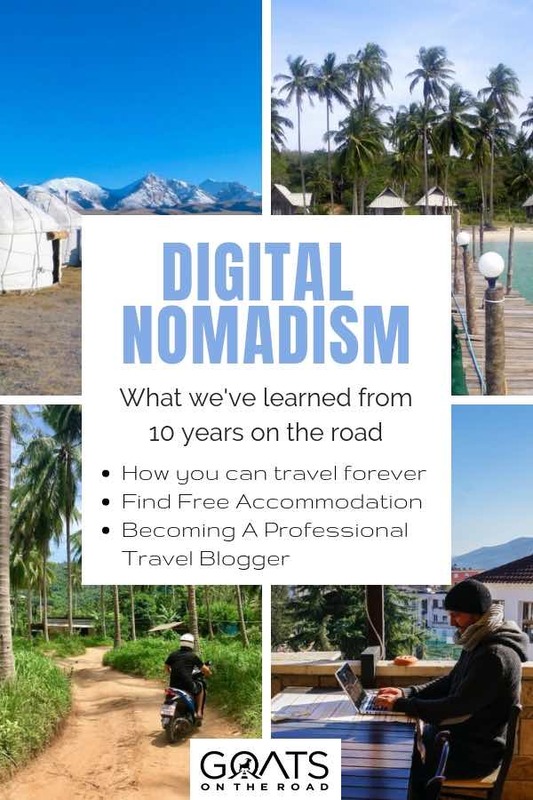 We were able to earn enough money to travel for another year and a half, which ultimately gave us a chance to think about what sort of jobs we could do abroad. How Do We Travel Forever?! The second trip was just as amazing as our first. This time, instead of just staying in Asia, we hopped from Europe to Africa to the Middle East and back to Asia. It was exhilarating and again, we felt alive. It was somewhere around December, 2011 when we looked at our bank account and realized that, unless we figured out a way to make money, in about 5 months we would have to return home (again) to work – something that was very hard for me to deal with. Up popped an article titled “How I Make $2,500 / Month Blogging”. I couldn’t believe it. 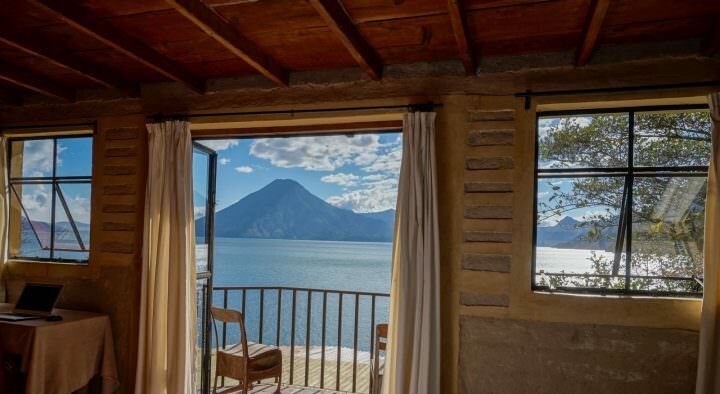 At this point, we as a couple were travelling and living off of around $1,500 a month. If this article was correct, we would be able to travel and still save $1,000 each month! Two months later, we started this website “Goats On The Road” while chilling out on the island of Koh Phangan in Thailand. But, it would be about a year before we made any money from our blog. We needed another way to earn an income on the road and went in search of travel jobs.  These days, there are so many remote jobs available, and it’s becoming way more mainstream to combine work with travel. If this is something you’re interested in, speak to your boss about being able to take your work on the road with you. What’s the worst that can happen? Or, quit your job and find a new one that you can do abroad. You can teach English online from anywhere, start a blog and share your knowledge with the world, make money as a translator (if you’re bilingual), work as a social media manager, run your own adventure tours, etc. The point is, in order to earn a living, you don’t need to stay home. 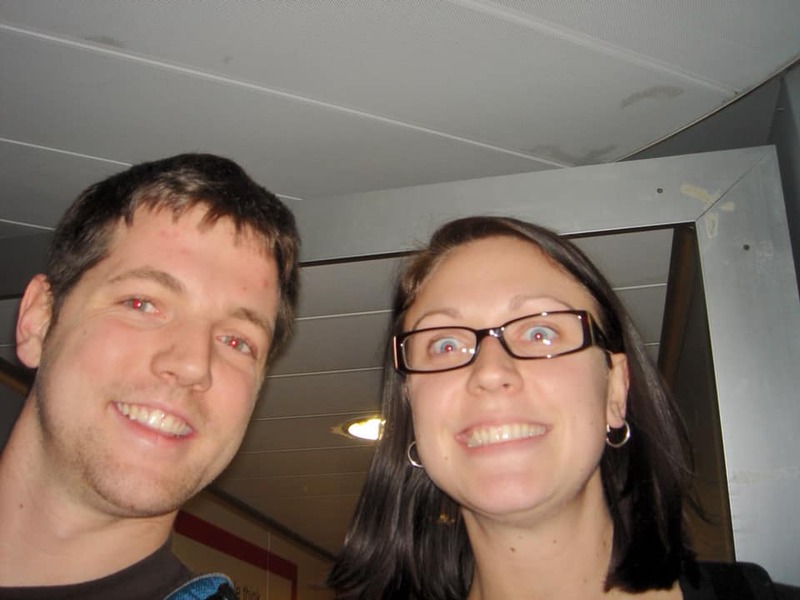 We were so excited when we started our travel blog. I’ll never forget sitting in a beach bar in El Nido, Philippines and mapping out our website. We thought about which pages we would create, what our menu bar would have in it and what our slogan would be. 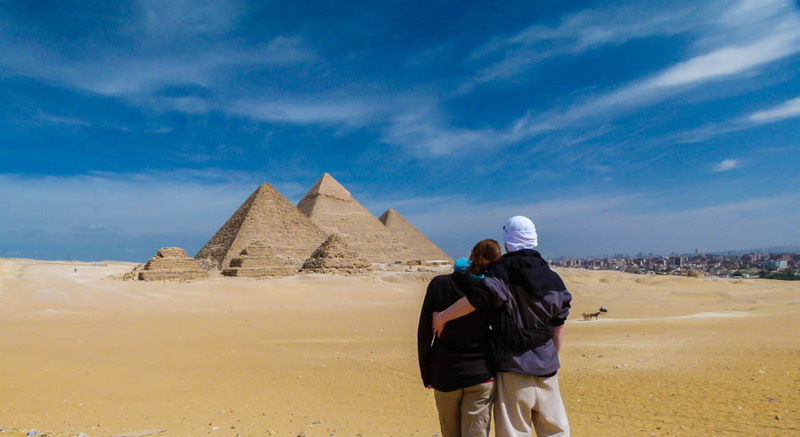 We were thrilled at the prospect of making money doing something we love – travel. 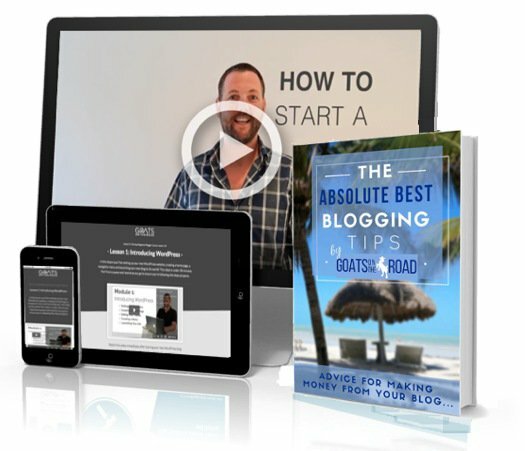 But, the blog was in its infancy and we needed to make money fairly quickly, or we’d have to return to Canada. 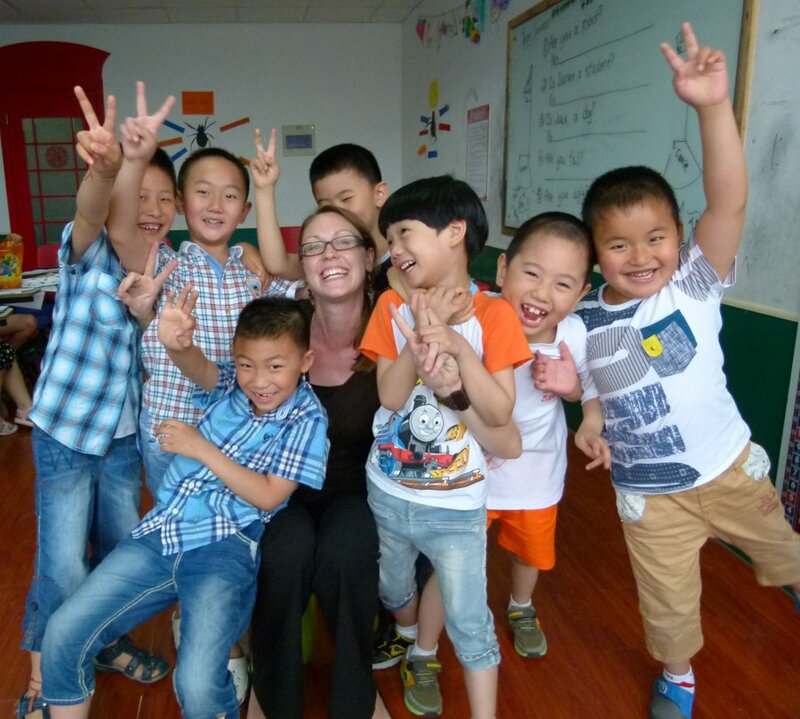 During our first year away, we’d met a couple of backpackers who told us about teaching English in China. Well, by this point, we were actually travelling around China so we figured it was a good idea to see if teachers were needed. The only prior teaching experience we had was when we volunteered for a week in Myanmar, and for 1 day in Laos. It didn’t matter, we went for it! We looked for ads on hostel bulletin boards and in cafes, and ended up finding a couple of positions that paid around $800 a month, plus housing. Nick made some phone calls and in the end, the jobs weren’t right for us. Some more Googling happened and I came across many more companies, only a couple of which were actually reputable. We sent out our resumes, and heard back from Shane English School in Yangzhou. To my surprise, the Academic Manager who contacted us was from England. Immediately, we felt relieved as this meant there wouldn’t be anything lost in translation during our conversation, and we were able to ask her questions about what it’s like to teach at the school. 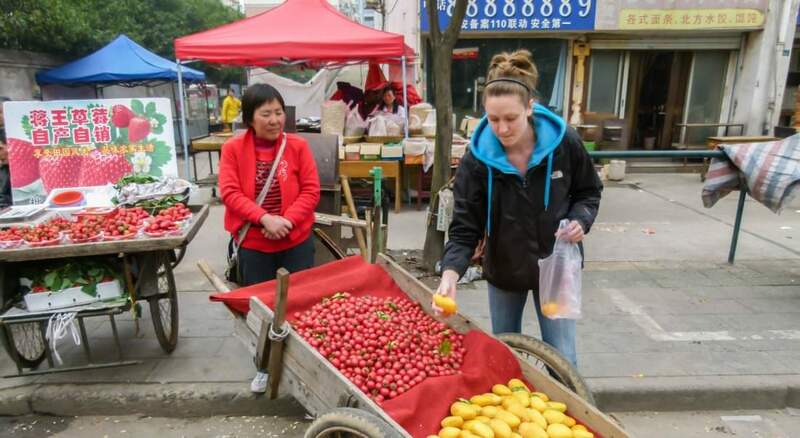 While there are lots of teaching jobs in China, many of them are scams, so it felt comforting to hear our native tongue and speak to a “western” person about her experience living in China as a foreigner. She told us all of the pros and cons of the school, things that are different there from England and Canada and what to expect from the city and the job overall. We were in Tunxi, China and after what felt like an eternity (it was 2 days), we received an email back from Shane English School. They wanted to hire us! It felt like a massive boulder was lifted off of my shoulders. We didn’t have to move back home. We could continue travelling, while making money on the road. We were going to actually live in an exotic country, rather than just backpacking through it. Within 2 months, we started our job with Shane English School in Yangzhou. For a whole year, we taught English to children aged 4 – 17, it was a wonderful experience. We made some lifelong friends during our time there, both foreign and Chinese. Finally, we felt like we could breathe. The uneasiness of not having a steady income lifted and we felt a financial security for the first time in a while.  There are numerous English teaching jobs available. If you’re a native English speaker and you meet the requirements, you can teach English in China (or the country of your choice). If you’re from North America and you meet the requirements, you can teach English in China, but you can also teach English online. Become a VIPKID teacher and earn $22/hour. Teaching online wasn’t something that we were aware of back in 2012, but these days, you don’t actually have to move to China, you can teach English from your laptop, anywhere in the world. If you do want to move abroad and experience what it’s like to live in a foreign country, we highly recommend Shane English School (and, they’re currently hiring and pay up to $2,900 / month). Living in China for a year was amazing, but, our feet were itchy and we felt ready for an adventure! We looked at a map of the world and saw that Mongolia, Russia, and Central Asia were incredibly close to China. Travelling to those countries seemed like the next logical step for us. Few places in the world are as off track as these countries and our 5 month stint through Mongolia, Russia, Kyrgyzstan, Kazakhstan, Tajikistan, Uzbekistan, Turkmenistan and Iran was a journey we’ll never forget. Vast landscapes, unique cultures, dazzling architecture and towering mountains, this part of the world is an intrepid traveller’s dream.  Every once in a while, push yourself to try something (somewhere) new. Create your own path and visit destinations that aren’t so popular. Seeing picturesque places on Instagram may entice you to visit, but I recommend heading off the typical tourist track and having authentic, once-in-a-lifetime experiences. Central Asia, Northern Asia and the Middle East are excellent places to do just that. By 2014, our website was doing fairly well, but we weren’t really saving much money. I remembered hearing about a fellow blogger who was doing something called “house sitting”. In exchange for taking care of someone’s dog, she was receiving free accommodation. We were in Uzbekistan and out of nowhere I thought of her story. So, we decided to create a profile on Trusted Housesitters and see what happened. We applied to a few postings, but didn’t have high expectations since our resume consisted of working as a real estate paralegal, a printing press operator, travelling the world and teaching English…none of which have to do with pets! 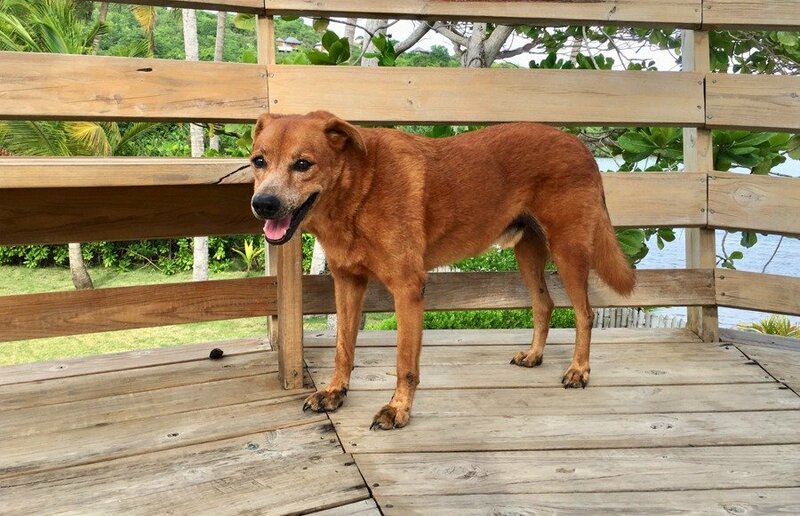 A few weeks later we had a message in our inbox inviting us to Grenada to take care of a furry pooch named Spare Dog. Guess what? That’s the exact pet sitting job that our blogging friend had posted about years before. The one that inspired us to open up a house sitting / pet sitting profile in the first place. It was definitely meant to be. 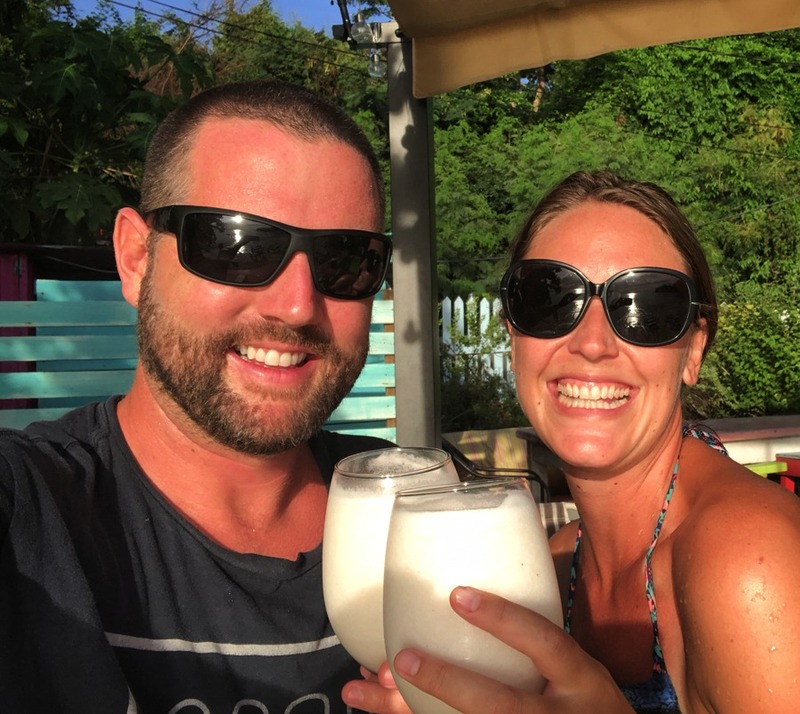 We had pet sitting jobs in Grenada for 6 months out of the year, 3 years in a row, which was great for saving money while we were building our online business. House sitting and pet sitting is an amazing way to live as a local rather than a tourist. You’ll have cute fur babies to take care of, and receive free accommodation. This is an excellent way to save money, and supplement your current income. If you’re an animal lover, responsible, caring and trustworthy, click here to sign up and find a house sitting job. Thinking back to that day in Delhi (when I was panicking and trying to figure out a way to stay travelling), it makes me incredibly proud of how far we’ve come. 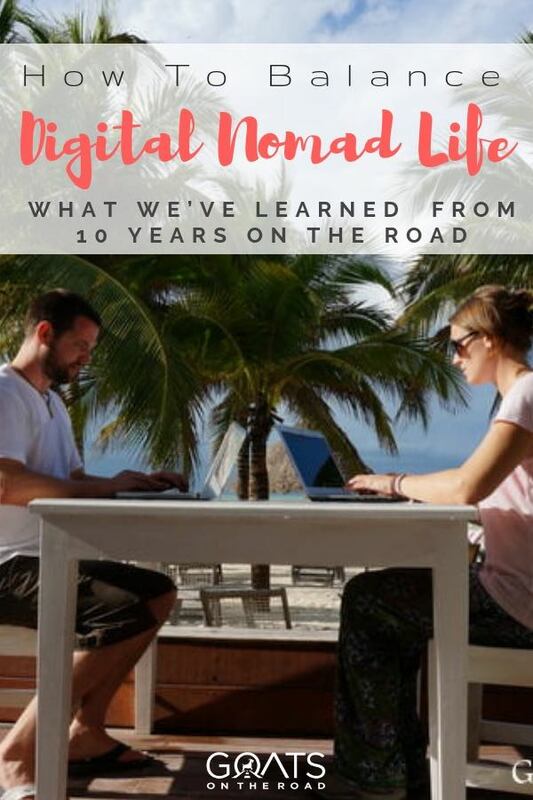 We knew nothing about computer coding, social media, writing or photography, yet we took a leap of faith and decided to learn how to become travel bloggers. The fact that someone was earning $2,500 a month was all the inspiration we needed to get started. 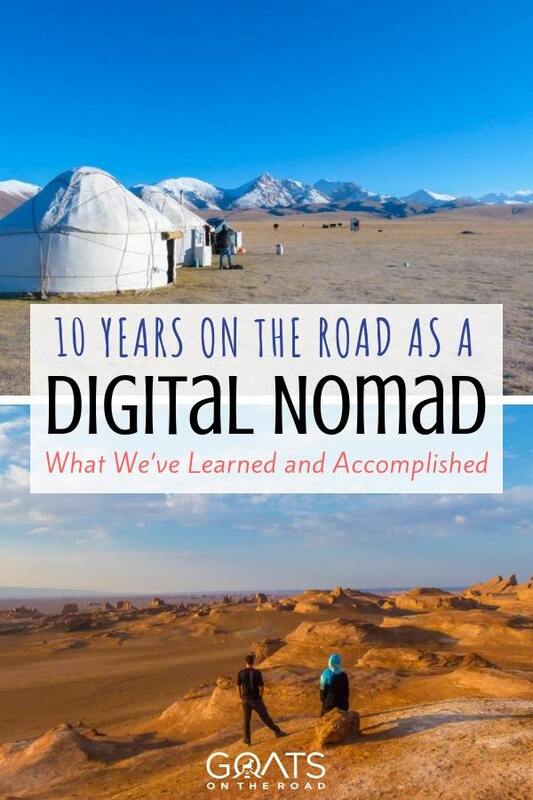 Six years on, we’re earning nearly 10 times that from our website and have turned our blog into a full-on travel business. Something we never would have dreamed of. It’s one thing to be a travel blogger, but to become successful takes time, energy and passion. The fact that we’re able to work with tourism boards around the world and teach others how to make money online, all while living anywhere that has wi-fi, is something we’re incredibly grateful for. Our community of readers (you! ), and fellow bloggers is the reason we do what we do. Without your support and encouragement, who knows where we’d be by now. We’re thankful for this every day. 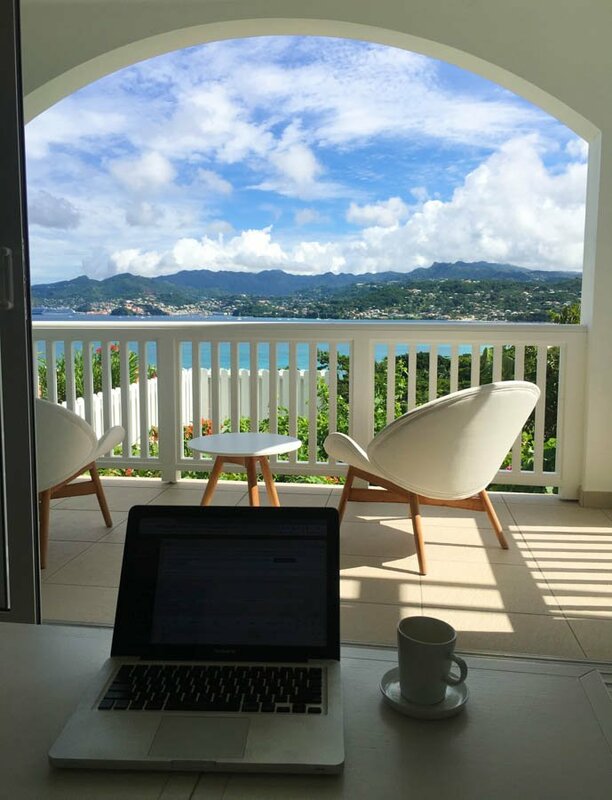 How Much Money Do You Need to Quit Your Job and Become a Digital Nomad?  We truly believe that when you’re on the right path in life and everything is falling into place, it means you’re where you’re supposed to be…and doing what you’re supposed to be doing. What made me find that article that day in Delhi? Who knows, but the stars aligned and it gave us the motivation and courage we needed to stay on the road and figure out a way to make money. To be free. If you are passionate about travel (or any subject), start a blog and share your advice with the world. 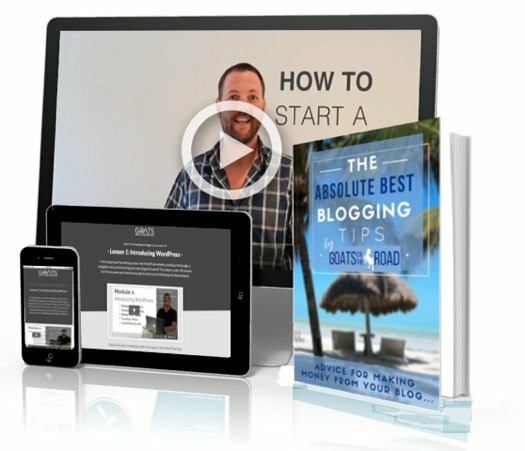 If you start your blog through our link, you’ll receive our Beginner’s Blogging Course for free. This past 10 years have been a wild ride, filled with ups and downs. We’ve learned countless things about the world and ourselves, but I think the biggest lesson learned is that when we follow our hearts and our true calling, everything works out. When we’re trying to make a decision and it simply isn’t flowing, and we feel like we’re banging our heads against a brick wall, we’ve now learned to take a step back and reflect on the situation. Is this really what we should be doing right now? Or, is there something grander waiting for us down a different path? This journey has taught us a lot about how the world works, and to appreciate the things we have. If we would have stayed in Canada, I don’t think we would’ve learned to enjoy the little things in life and realized that we don’t actually need much to be happy. The accumulation of memories and experiences is far more important than possessions. Laughing with our good friend Rolando. Accumulate memories, not possessions. I think it’s imperative that we interact with those who are different from ourselves. People who come from different countries, or from different religious backgrounds. Learn about their lives, and share with them as well! 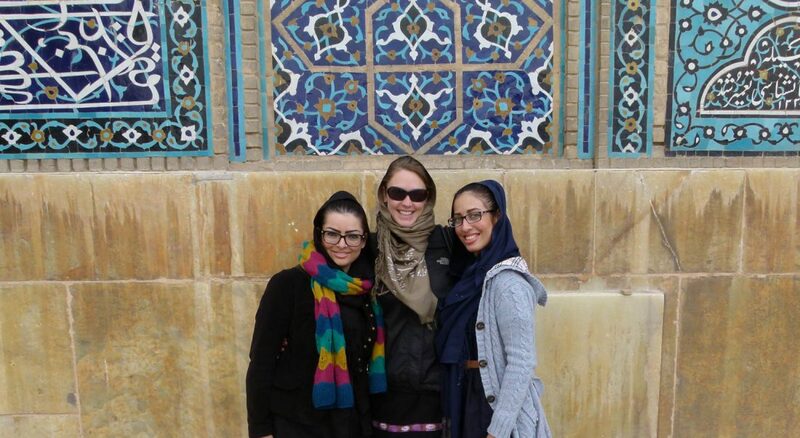 I’ll never forget talking with my female Iranian friends about their lives compared to mine. I’ll always remember what it was like to cook Thai cuisine for a day. 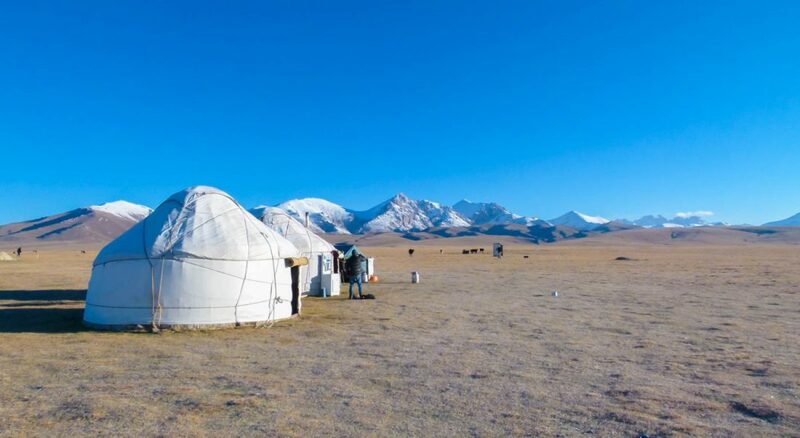 Laughing and chatting about life and customs with our horse guides, while sitting in a yurt in the middle of nowhere in Kyrgyzstan is a memory that will stick with me forever. I’ll never forget Nick trying to teach fly fishing to a Mongolian man. I won’t forget the hospitality and love shown to us by complete Colombian strangers – who soon became great friends. I’ll always remember spending 2 months learning what it means to be Maltese with our new friends – while enjoying their way of life, their food and their secret local spots. I’ll most certainly never forget the memories made and sharing of cultures and customs with my friends in Grenada. Travel brings people closer. Something the world needs more of these days. What’s In Store For The Next 10 Years?! In terms of business, we both see ourselves continuing to help and (hopefully) inspire others to do more of what makes them happy. All of us in Canada and the USA are so conditioned to think that we have to work incredibly hard when we’re young, and reap the benefits when we retire. To us, this is backwards. 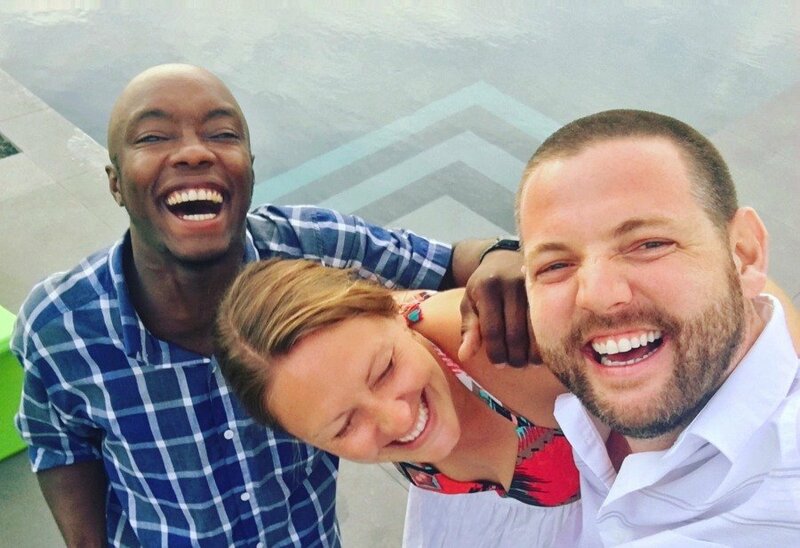 This is why we want to show people how to make money on the road, so that they can enjoy a mix of work and travel while they still have their health. Or, if they’re almost ready to retire, to just do it a little earlier and live in cheaper countries if need be. 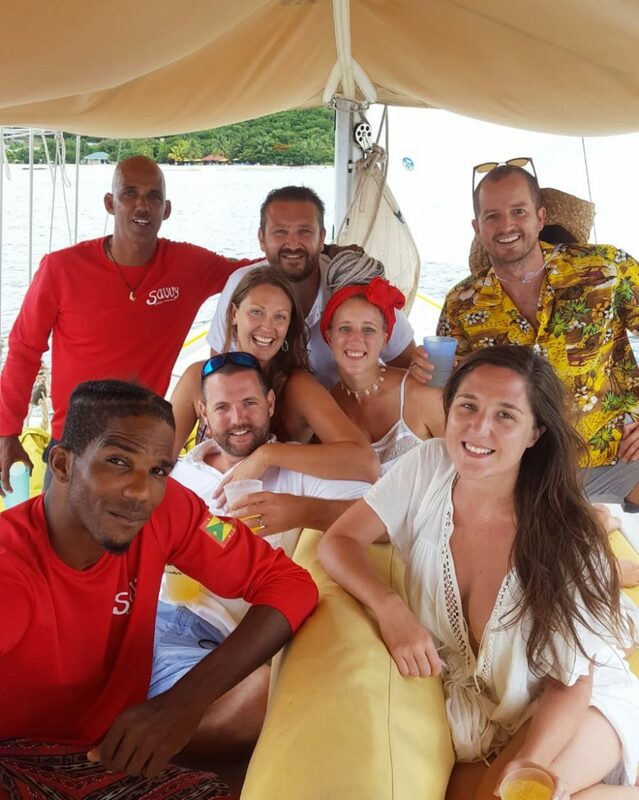 We’re currently based in our adopted home country of Grenada, and have an amazing community of like-minded friends. This is something that we’ve wanted for a few years now, and are so happy we’ve found. Our “plan” is to base ourselves here and travel from Grenada until we feel it’s time to move on – if that time comes. Travel is, and will still be, a huge part of our lives. 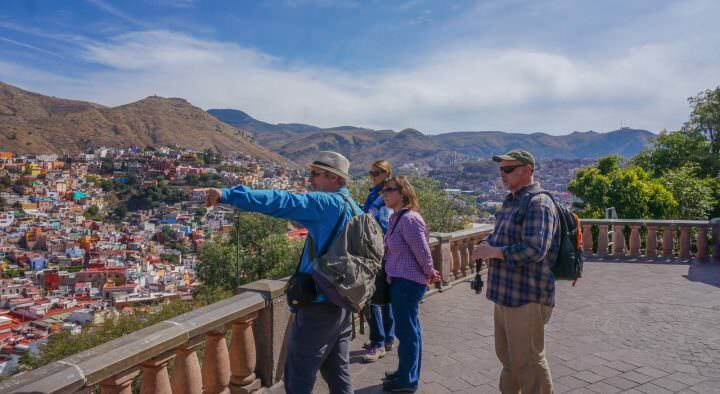 In February, we are packing up and taking a trip through Ecuador, Peru and Bolivia. We think this journey will be about 3 months long and we can’t wait to explore more of South America and tell you all about our findings! Here’s to the next 10! It’s My Birthday: Unconventional At 29! Well written and interesting, Dariece. Thanks for reading and following our journey Charlie! What a pleasure reading this post. You guys look so different in those pictures 🙂 Wishing you and Nick another 10 (and a thousand more) years of travelling and love. There are not many kinds of freedom in the world that come close to the freedom of travelling whenever one wants! So glad you two have that. Hope to cross paths someday. Waiting to see updates from South America soon. Thanks for reading and commenting you guys! We really appreciate it. It’s so funny to look back on the old photos!! We’re looking forward to our return to South America and we’ll be writing and sharing on social media as well. Cheers! I’m so amazed by your 10-year adventure, you guys! I’ve been following along for a few years and loved reading this reflection post. Currently, my husband and I are in the “back at home to save” phase in that we just returned from a year of full-time travel in June to make more money and pay off some lingering debt. Unfortunately, the itch to leave is daily! We are dying to get back out there, to house sit, to live simply, and to make money in ways that also make us happy. That was the biggest mistake we made when we left the first time, our income was dependant on others. We’re slowly laying the foundations for our online incomes and can’t wait to hit the road again, this time (hopefully), for good. Thanks for being an inspiration and showing us that we can do it again (and again)! You guys are inspiration for me as I always worried about the money like “How I am going to travel?” “about the accomodation” and other stuff. You showed a simple road for travelling. I have no words for your appreciation. Seriously this is a remarakable work. Congratulations, you guys! Wow, 10 years is a big feat! I myself have been traveling for the last 6 years as well but relying mostly on my freelance web design jobs instead of teaching and housesitting. I have only been serious about my blog (Bucketlistly.Blog) this year trying to follow your footstep and turn it into a business as my freelance work became unstable but otherwise, I have learned a lot in 6 years! I hope to continue 4 more years traveling around the world! Congrats on all of your success Pete! Thanks for reading, following and commenting Happy travels and happy blogging. What a great article/blog! I came here to post a pin and got lost in your website. Great advice on many pages! Please come and visit Iran. it’s one of the cheapest destinations now and has lots of beauties. I said this on the last post of yours that I commented on, and I’ll say it again – you guys are inspirations!!! Thanks for the kind words and for following our journey! We really appreciate it All the best to you. hope to see you in Iran very soon.